As tempers smoldered and the cleanup of riot-ravaged Baltimore continued outside, the city's beloved Orioles beat the White Sox in an eerily empty ballpark Wednesday afternoon. 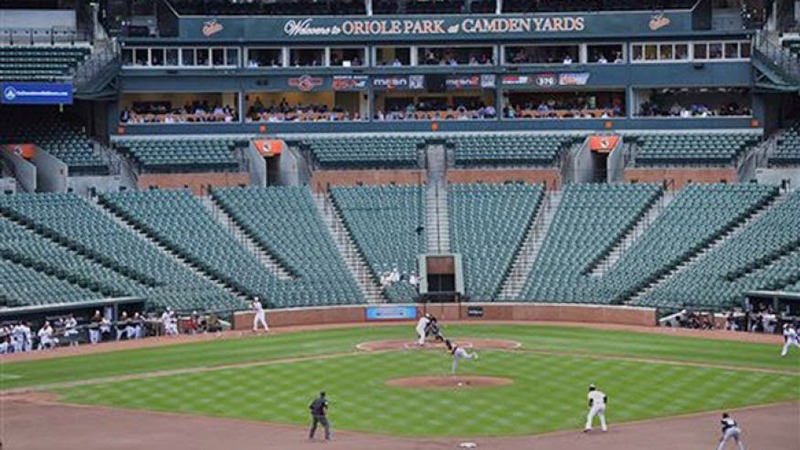 The game at Orioles Park at Camden Yards was played out before 47,000 empty seats amid safety concerns for spectators. One of the few 'team games' I will watch is Baseball ... primarily because if you nod off from boredom, when you wake up you haven't missed much. I haven't watched a baseball game in 20 years, and I haven't missed much. Other people, though, do like watching ball games. Note to Baltimore: Y'all did this to yourselves. And that's the truth. BLATTTTT!. Curving Bullets! Really? 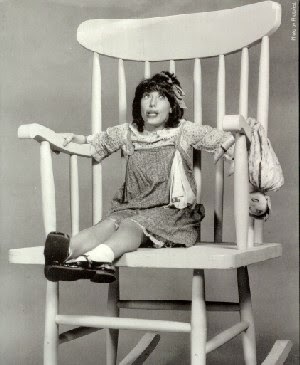 Angelina, I'm here for you Babe! A rather low-quality video of the 50-caliber round sought to demonstrate the potential for a "state-of-the-art sniper system (that) combines a maneuverable bullet and a real-time guidance system to track and deliver the projectile to the target, allowing the bullet to change path during flight." Police in Alabama say officers shot a woman who had shot an intruder during a home invasion after she didn't drop her weapon. Learn from this. The cops are just as frightened as you are. "A single mother of six children". No single mom can keep track of six children. Especially when at least one of those children is a male teenager. This woman has her work cut out for her. At least she's not a "Welfare Mom" ... she's holding down a job, and has a right to expect that her older children help her with the rest of the family. Uh ... the video includes some earthly language, so rate this NSFW. I'm inclined to have low expectations for the children of this demographic, but this mother knows where to draw the line ... and make it stick! Looking at the last few minutes of the video, son has a decidedly hangdog expression. Good for him; he may learn something from the experience. That might very well be the only good thing to come out of these troubled days in Baltimore. "Tolerence" is apparently a One Way Street. Johns Hopkins Bans Chick-fil-A From Campus: ‘Microaggression’ Against LGBT Students - Breitbart: The Student Government Association (SGA) at Johns Hopkins University has banned Chick-fil-A from its campus, claiming the restaurant chain is a “microaggression” against its students. The White House Correspondents’ Association dinner gets criticized yearly for being a big party where Washington bigwigs, Hollywood stars and journalists rub shoulders and celebrate themselves. I watched the video of President Obama's Gig last night. He was fun to watch for the first 10 minutes ... he had good writers and he is a personable speaker (why he was elected). The last 10 minutes? Not so much. When he brought his Alter Ego on ... the guy with the obnoxiously loud "comedy schtick" ... I eventually tuned out. "LOUD" and "FUNNY" aren't the same thing. I don't mind when the Prez lambasts the Loyal Opposition. That's his job, he's a party guy. Bushes do it, Clintons do it, The humor there is sometimes rueful, but wry and to the point. Video available at the link at the top of the page.